At-home hair coloring is the choice of many people looking to save on salon bills. For light gray coverage or root touch-ups, some may want to use only a small amount of the hair color in the box and save the rest for later. If not done with care, saving hair color can result in a range of hair disasters, such as damaged hair or hair that is the wrong color or exploding hair color that stains and contaminates everything around it. Unpack the box of hair color. Most at-home hair color kits include two different bottles of product, the color and activator, which must be mixed together and then applied to hair. Do not mix these as directed. Once these two products have been mixed, the mixture should be used immediately (within an hour or less), and any leftover mixture must be discarded. Pour equal parts of the color and activator into a mixing bowl. The amount you pour depends on the amount of hair you wish to color. Use the mixing wand to blend the products together thoroughly. Apply to hair as directed. Pour the remaining color and remaining activator into separate airtight containers. If the original containers are undamaged and can provide an airtight seal, simply close these up tightly. Store the products at room temperature for up to two months. To use, simply pour each into the mixing bowl, mix and apply to hair as directed. 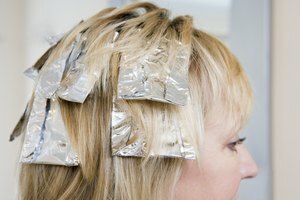 Hair color that is completely unopened can last up to three years. Always check the expiration date printed on the box to ensure the product is still viable. 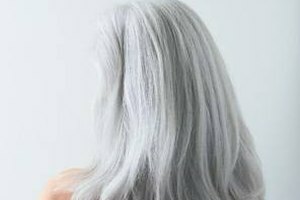 Never try to keep hair color that has been mixed, not even in the refrigerator — the chemicals involved can actually explode or simply change over time, meaning applying it to hair may result in a strange, unintended color or damage to the hair.